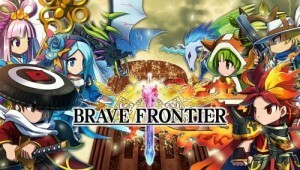 Brave Frontier RPG MOD APK is an online RPG game from gumi inc. its a Global version of the game.there are two versions available for this game.Recently game is updated to version 1.13 features New customization and missions so does the MOD APK Arrived on Andropalace. 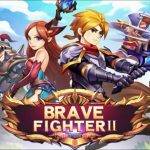 Brave Frontier RPG EU MOD APK is an addictive monster RPG game that reminds me of the old final fantasy game combine with simple mobile RPG games that allow you to evolve & fuse characters to level your characters up. You form your elite squad to battle single player quest that have a nice Anime guide to the game and also able to challenge real human players (PVP) via Arena to see if your squad are up to standard or not. The game started off pretty easy but eventually you will be seeking for more Unit Capacity or forced to sell off units to make space for more Evolve materials or Units to fuse. 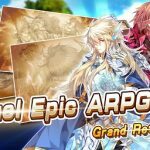 The game however is free to play with in-app purchase of gems for summoning rare characters but it’s randomly selected so there will be times that you will get the same rare units if you are unlucky. You can earn gems by completing quests and levelling up and get rare characters by participating in Vortex events which happens regularly. Overall, the game is well design with engaging gameplay that keep urging me on to complete the next quest & upgrading the next hero of my squad. 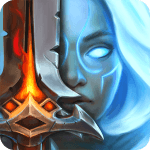 Install BRAVE FRONTIER GLOBAL MOD APK and play. Need new update. Pls.. thanks RG. Need update. Was working fine but now force closes on open. The only things that don’t seem to work for me is the parades aren’t always open. Guy, how many full size of this game? RG may I ask? I download this mod before and now new update..when I update I have to play again? New update..raid battle crash..thank you RG..
Is there some possibility to make this app working with Raid Quest? I know that everyone have the same problem with fights in this mode. Solution to this would be very helpful. Hey rg I think a new version is up. Gist of the situation is that there was a server maintainence for frontier hunter and after that , I opened it and it says update app. Just a heads up. Thank you for all the great stuff man. Someone could help? Why cant i login using facebook, it said that invalid keyhash and error on google play games, what should i do? Thanks RG! The last two versions however crash when playing Raid battle (as soon as an enemy is hit). Is it linked to the mod? I wonder you are so quick in making a mod version, do you work alone or with a team? by the way thanks for making mod version. is God Mode made us get banned? 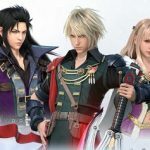 There will be an update please update this mod after the maintenance is done. and please add God mode too. i really enjoy your modd but will you bring back the God mode too? Thank you RG in advance. Yes, please update RG! Thanks! NEW VERSION IS OUT PLEASE UPDATE! The hack doesnt seem to.work? Should i give it a few minutes? It doesnt make the “Andropalace” pop up..
Oh wait theres only 3 hacks now. No more god mode :( but still good! Thanks again RG! RG! There’s going to be another big update tomorrow! Just giving you a heads up ao you can be prepared! Also please fix the bug/glitch for having too much items! I love your hardwork and keep it up! After install and login, while loading screen it say please update the version! I also encounter this problem. Maybe wait for RG to do his part. 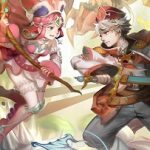 Hopeful manage to get in the game soon. Hi RG, i do install few time from most of the download link. But still it apk haven’t update yet. I now still stuck at previous ver. Pls help. Thanks. Hi RG, this game new update ver (Again). Pls help to update. Thanks. Hi, this game got new version just now. Pls update. Thanks. Why it always say connection error ? Hi, Can we get faster leveling mod for this coming update? Thanks in advance. Thank you RG, your the best. Do I need to used fb account in this game? 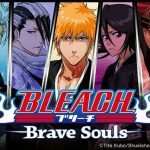 thanks for fast update RG :D and how the Brave Bleach Soul cn fix too they update it..
New update is available? When I open the app. It’s just say that. But I think mod is new update. What happened? Update is faster than usain bolt lol. RG kindly remove any of the listed which cant be use it anymore so atleast others know? I continued to try again but the mod still no go. Why? It’s because I am in Italy and Italy will not work or why? The doesnt work cause of the continuous updates.. Please wait for a new updated mod.. The hack doesn’t work. The cost isn’t set to maximum and the missions don’t cost 1. Is a problem only mine? How can i solveIt? I’m having the same problem. Only some of the hacks work. The evolution hack works, the unlocked dungeons works, but 1 stamina, money, karma, cost, and others aren’t. The mod doesn’t work. Why? Hi RoyalGamer can u please mod new version 1.5.4 thank you so much RG.. I just want to be able to raid battle without getting UNEXPECTED ERROR CRASH. Insta Bb and deck cost aren’t working!!! Hey RG, insta BB/SBB/UBB and deck cost don’t work! pls fix it ty! New version 1.5.3 update please thank you..
Please,add enemy atk 1 and 1 hit kill, it will be nice. Btw can u add high player damage too please..? Update version 1.5.21 please..add high player attack if possible thank you so much And Happy New Year RG..looking forward towards awesome mod in 2017..
Zel Karma 200K rewards doesnt worked..Would u please add high player damage for this mod it will be great..Thank you RG! Hi Royal Can u add mod high player attack..Your MOD is awesome always looking forward for new update mod.. If possible please fix this. Hi RG Can u please make new mod for version 1.5.2..Thank you so much RG u awesome.. Ignore lvl to evolve isn’t working! But still very nice job RG! Hi,RG less then 40mins new update new version..Any mod ready? First of all thank you for this awesome mod. If you can add enemy atk 1 and 1 hit kill, it will be nice. Rg why deck cost mod doesn’t work ? Hi Royal Gamer mod is working but few things u have remove it such as deck cost,monster att 1..u add karma n zel 200K thats is gd.Can u please add back the high player damage too if u dont mind..thank you appreciate your modded..
Hi can u update version 1.5 just release today..thank you so much..
Hey RG can you add increase damage? Would be nice! Thanks but that mod doesn’t work. Forget that. After several tries, it finally went through. A server side problem, then. Cand u mod Mobile Legends?